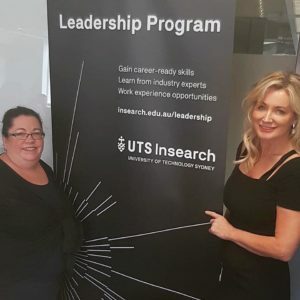 On March 8 2019, Sharon Williams, our CEO was at the UTS Insearch presenting at the Leadership Program discussing all things personal branding! The Leadership Program, is facilitated by UTS Insearch for both domestic and international students with the aim of helping students prepare and transition from education to careers in Australia and across the world. UTS Insearch collaborates with various industry leaders, subject matter experts and past participants to ensure students walk away with greater understanding of the Australian workplace, by teaching students how to succeed through workshops and team-building activities. Sharon spoke about what a personal brand and being yourself with purpose and she is proud to be working with superstar Kate Dennis and her team on the leadership program at UTS Insearch. 7 years and counting in this great partnership and proud to call Insearch a Taurus client!